A bigger, badder battery, the all New Trent PowerPak Ultra is an energy infuser like no other. 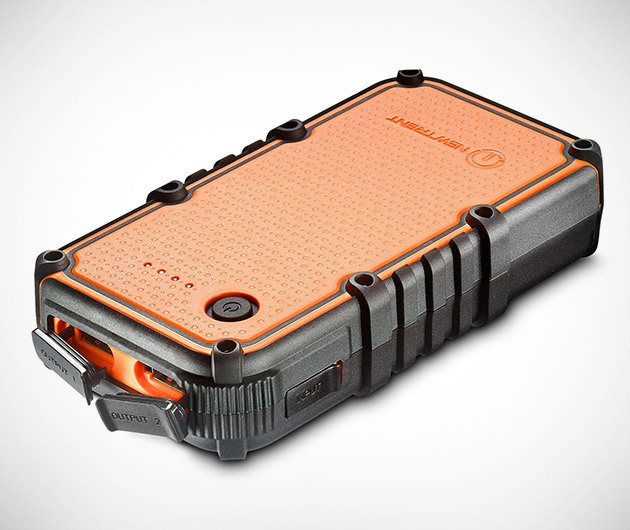 Ultra rugged, not to mention water resistant, no matter where you are, this thing has got your back. The 14000 mAh internal battery will replenish your smartphone six times, while the dual USB ports offer total connectivity to all devices. Watch video on your iPhone for a staggering 55 hours, thanks to a battery that's good for 500 charge cycles.